The fifth-generation (5G) has been developed for supporting diverse services, such as enhanced mobile broadband (eMBB), massive machine-type communication (mMTC) and ultrareliable lowlatency communication (URLLC). The latter two constitute Internet of Things (IoT) enablers. The new spectrum released for 5G deployments are primarily above 3 GHz and, unfortunately, has a relatively high path loss, which limits the coverage, especially for the uplink (UL). The high propagation loss, the limited number of UL slots in a time-division duplexing (TDD) frame, and the limited user power gravely restrict the UL coverage, but this is where bandwidth is available. Moreover, the stringent requirements of eMBB and IoT applications lead to grave 5G challenges, e.g., site planning, ensuring seamless coverage, adapting the TDD downlink (DL)/UL slot ratio and the frame structure for maintaining a low bit error rate as well as low latency, and so on. 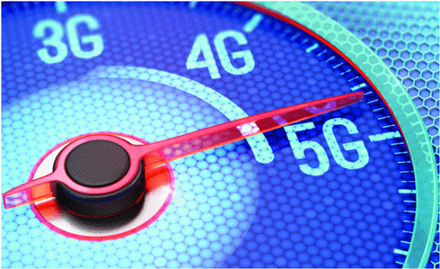 This article addresses some of those challenges with the aid of a unified spectrum-sharing mechanism, and by means of a UL/DL decoupling solution based on fourth-generation (4G)/5G frequency sharing. The key concept relies on accommodating the UL resources in a long-term evolution (LTE) frequency-division duplexing (FDD) frequency band as a supplemental UL (SUL) carrier in addition to the new radio (NR) operation in the TDD band above 3 GHz. With the advent of this concept, the conflicting requirements of high-transmission efficiency, large coverage area, and low latency can be beneficially balanced. The authors demonstrate that the unified 5G spectrum-exploitation mechanism is capable of seamlessly supporting compelling IoT and eMBB services.